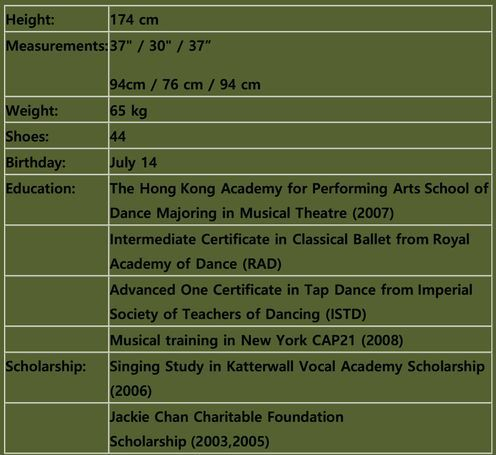 Graduated from the HK Academy for Performing Arts where he earned his advanced certificate in performing arts, major in musical theatre. 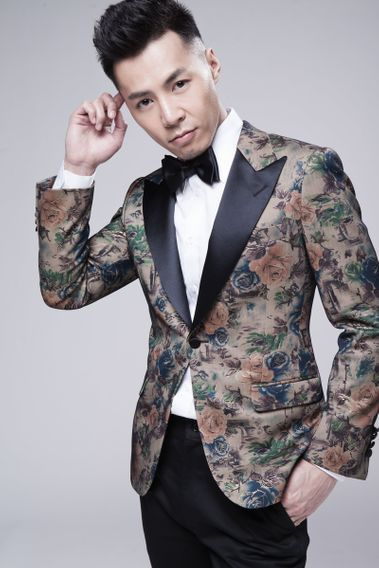 In 2008, he completed an intensive musical training in New York, experienced in Stage performances...He has also received Intermediate Certificate in Classical Ballet from Royal Academy of Dance and Advanced One Certificate in Tap Dance from Imperial Society of Teachers of Dancing. In 2006, he got the Katterwall Vocal Academy Scholarship to study singing. In 2008, he completed an intensive musical training in New York CAP21. Ronan participated Mr HK in 2010 getting a lot of dramas experiences in TVB, Ronan becomes popular from Dec 2012 because of a role as Mr. Pen Sai Bong (Oscar) in <Friendly Fire> . 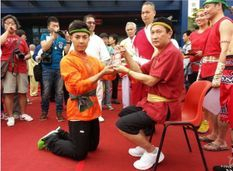 Start practicing Thai Boxing from Master Alex Tsui Ka Kit from June,2013 . Ronan participated a lot of Stage performances & charity events. Ronan launched his star making movie career in 2014.